With all the craziness going on during the week this is one of my go to recipes for something healthy! Need a quick and refreshing side dish to add a pop of color and fresh flavor to your dinner table? 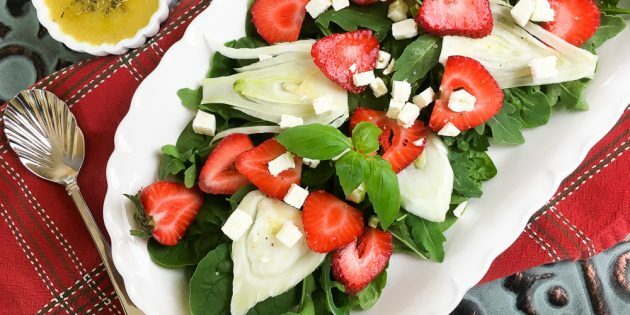 Look no further than this super quick and easy strawberry fennel salad. 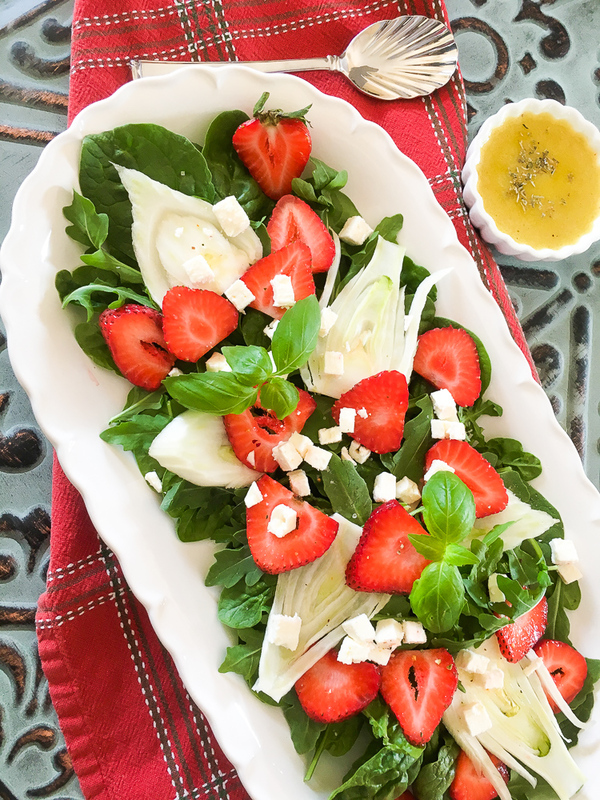 The fennel offers a satisfying crunch, while the sweet strawberries balance the natural saltiness of the Feta cheese. It comes together in just 15 minutes, so it’s perfect for those busy weeknight meals. Tip: If preferred, toss the spinach and arugula with the salad dressing prior to arranging on the platter. Prepare dressing by whisking together all ingredients in a glass or other non-reactive bowl. Taste and adjust seasonings, as desired. Transfer to a serving container or use a Salad Dressing Mixer and set aside. Arrange the spinach and arugula on a serving platter I really love my Fiesta Serving Platter and top with sliced fennel, strawberries, and Feta cheese. For quick and easy mixing use this Salad Dressing Mixer. It cuts the time in half and saves you a dish! If you want a gorgeous presentation use this Fiesta Serving Platter! If you click on any of the links above I will receive a small commission. Thank you for supporting my small business!